Maryland students (grades PreK4–12) are eligible to participate in a field trip through the grant-funded Free Admission for Maryland Students program. Travel beyond the boundaries of your classroom walls with a field trip to The Maryland Zoo in Baltimore. Bring your classroom lessons to life for students while traversing the wilds of Africa, exploring the sub-Arctic tundra and venturing through the caves, forests, meadows and wetlands of Maryland. Find out if your school group is eligible for the free field trip program. Reschedule an existing field trip reservation. 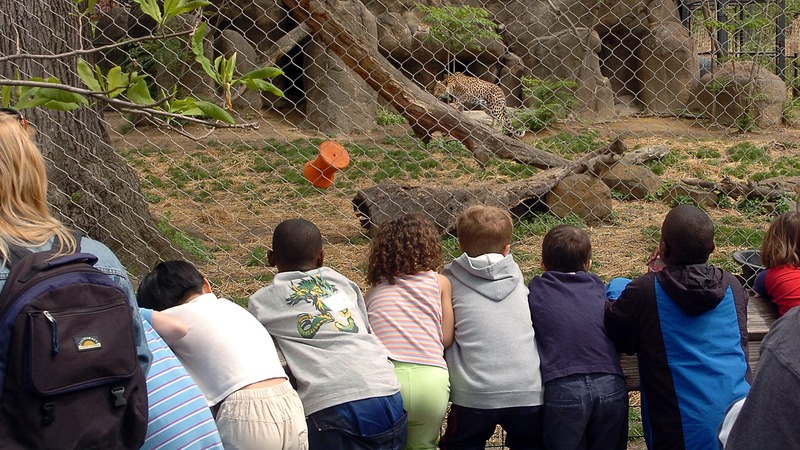 Use our free self-guided Zoo Treks to structure your students’ visit! Check out our other resources to support your field trip. Click to learn more about pre-ordering lunches. Teachers must reserve their field trip in advance to participate. Please allow up to two weeks for processing. Special project-based learning opportunity for 3rd-grade classes from Baltimore City Schools! Click here for details. Are you with a school from outside Maryland? Or are you a Maryland school group seeking to visit outside the Zoo’s regular field trip season? Our Large Group Ticket Sales page can help you plan your Zoo visit!